Sedona is known for nature, historic sites, trails, scenic drive, and spas. 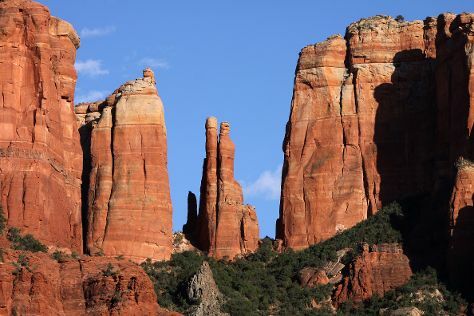 Your plan includes some of its best attractions: take in the dramatic natural features at Cathedral Rock, make a trip to Sedona Airport Overlook, cruise along Red Rock Scenic Byway (SR 179), and soothe aching muscles at some of the top local wellness centers. To see more things to do, reviews, and tourist information, go to the Sedona online trip builder . In February, plan for daily highs up to 60°F, and evening lows to 41°F. Wrap up your sightseeing on the 16th (Sat) early enough to travel back home.